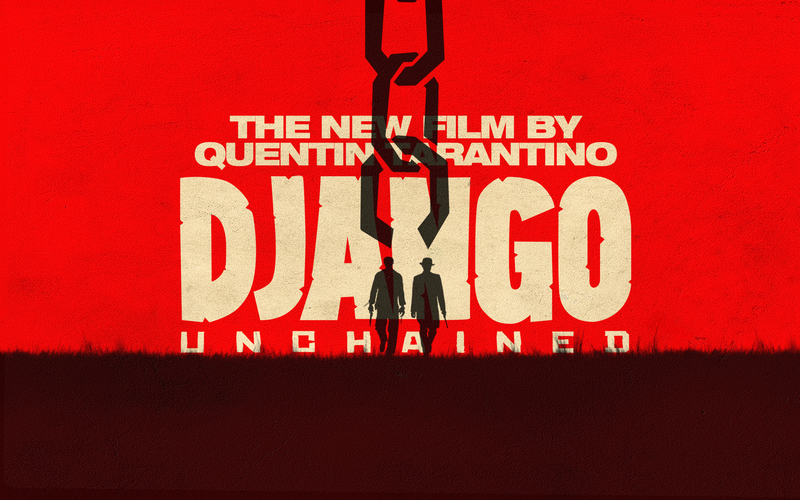 Django Unchained: the ‘D’ is Silent! 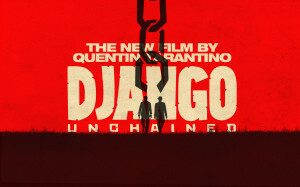 Django Unchained is the latest movie from Quentin Tarantino. It is a blacksploitation/spaghetti western hybrid of sorts, and it has stirred up its share of controversy thanks to its use of the ‘N’ word. But, is it any good? Yes. The movie is setup as a group of slaves are being lead through various country landscapes until they are stopped by Dr. King Schultz (Christoph Waltz) who asks to buy Django (Jamie Foxx). When the slave owners refuse, Schultz pretty much just kills them and takes Django anyway. Sorta but good enough. Then Schultz who we find out is a bounty hunter then helps Django save his wife Broomhilda (Kerry Washington) and exact his revenge on Calvin Candie (Leonardo DiCaprio) and his evil Uncle Tom: Stephen (Samuel L. Jackson). Again, sorta, but if you want a detailed plot go to Wikipedia, and now on to the reviewing. Out of all the Quentin Tarantino movies I have seen, this is probably the most straight forward one. Unlike most his movies that jump around in time, this one pretty much follows a linear path. He also seems to have balanced his dialog that he loves so much with enough action to keep you engaged. However what is the same, is the level of violence and gore in this picture. There is raspberry flavored corn syrup everywhere in this movie, and I think it is fantastic. As always Quentin found a good cast for this movie: Leonardo is great as the evil slave owner, and Samuel L. Jackson makes your skin crawl as the head slave. Christoph Waltz is outstanding again, and it seems like he was born to quip through Tarantino’s famous dialog. Foxx plays the cool Django just right, with all the crazy people around him it is nice to have a cool and calm character as the lead. This film stirred up quite a controversy thanks to using the ‘N’ word a lot, and it is jarring to hear it so often, and from so many white people, but I think it fits the time and theme of this movie. I am not sure this is my favorite movie of Tarantino’s, but it is probably the most accessible. Which is probably why more people liked it, and it is receiving all the accolades. Django Unchained is a good movie, and I think it is important to throw slavery in all of our faces once and awhile, so that we don’t gloss over the horror of it. This movie defiantly gets my recommendation.